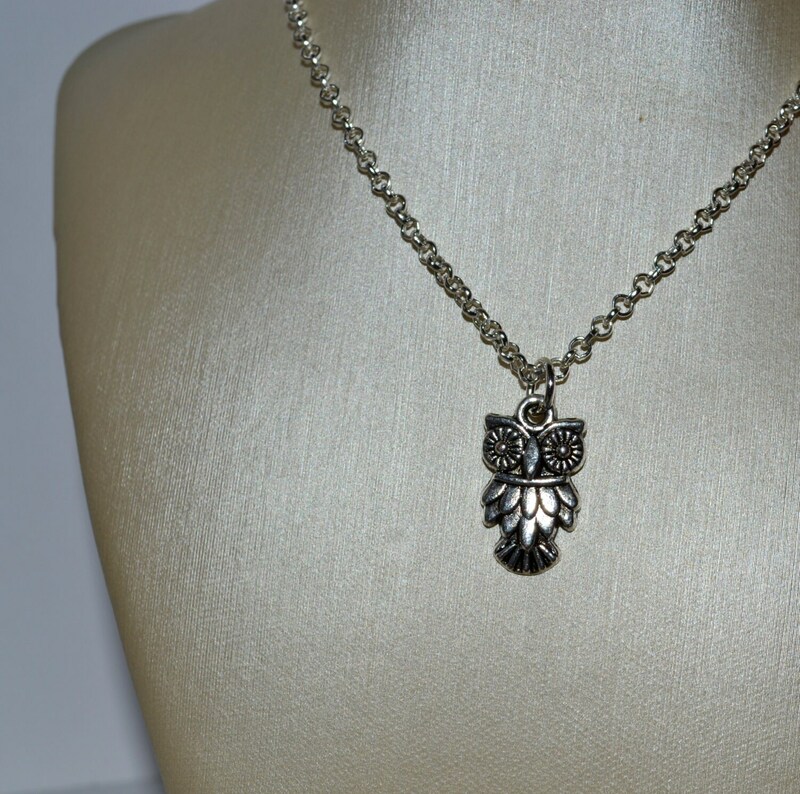 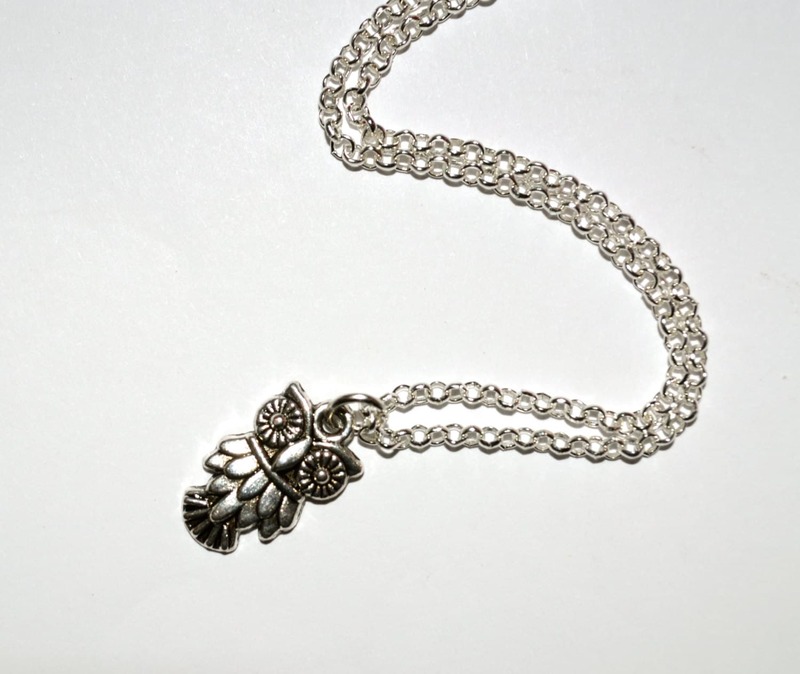 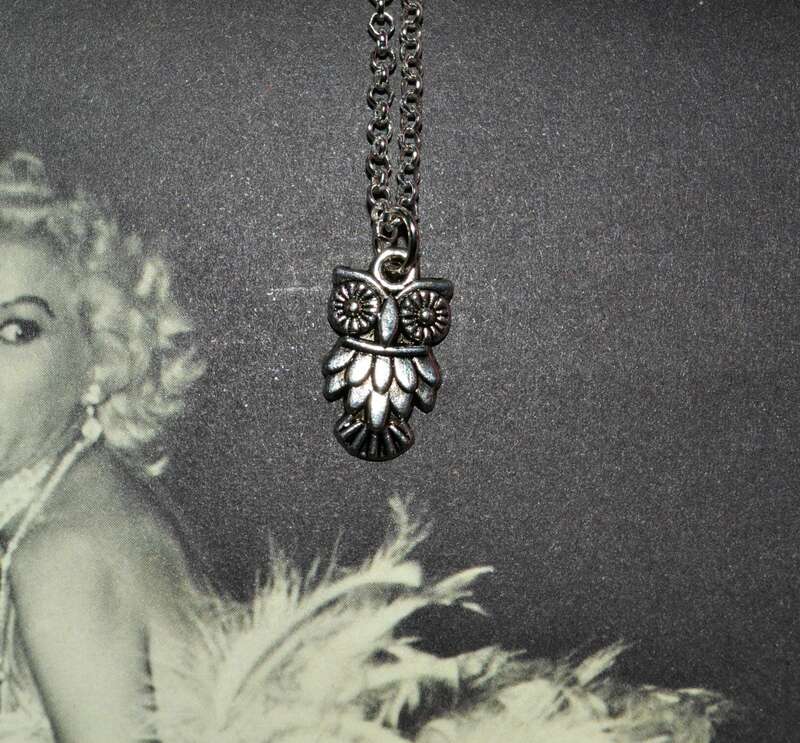 This cute little owl hangs simply from a silver plated chain. 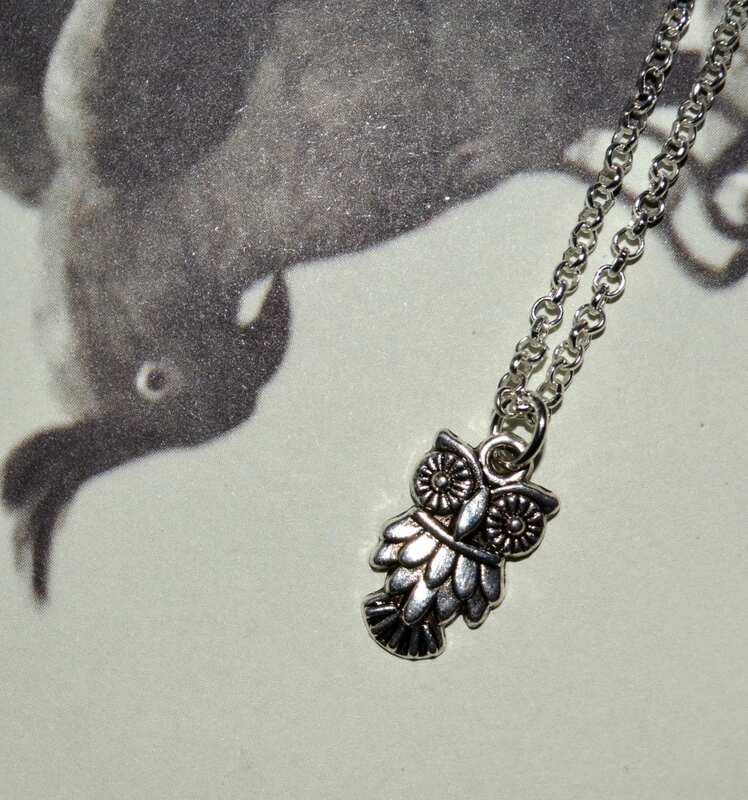 The little owl charm is approximately 0.75"/2cm tall. 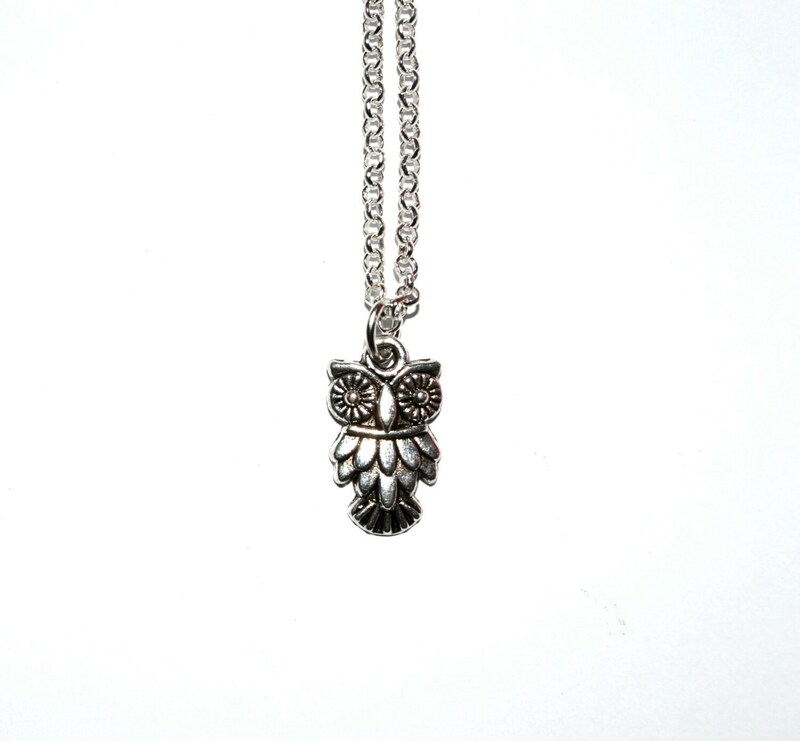 Silver plated rolo chain is lead and nickel free and has a lobster clasp.